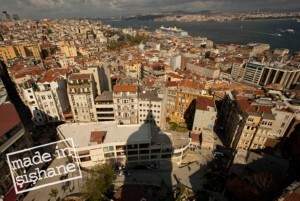 Through a cooperation between the Design Quartier Ehrefeld / Sabine Voggenreiter and Made in Sishane / Asli Kiyak Ingin, which organise innovative and participatory projects in order to design creative and positive visions for city districts, the project “More than Design” was created for the first Design Biennial in Istanbul 2012. 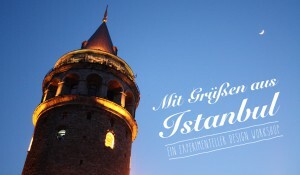 Five designers from Germany were invited to learn about Istanbul’s crafts districts, Sishane and Galata, together with Turkish and German students and to show the possibilities of the districts in a workshop. The project of the Design Biennial was to design and realise objects for public places, cafés and bars under the theme of imperfection. In shortest time the designs and objects were developed and thereby was proved that you can not only produce quickly and flexibly in the district, but rather that it also has an especially inspiring effect on designers, artists and architects. In spite of this potential, the existence of crafts tradition in Sishane and the Galata district is threatened. The reasons for this are cheap imported goods from Asia, rising rent prices, as well as the new master plan for Beyoglu that envisages a relocation of production companies, which would degrade the district to just another tourist district. Fascinated by the possibilities, improvisation, the unique network and inspired by the thoughts of making the public aware of the district and to support the still existing production network, the designer Pierre Kracht developed the project “With regards from Istanbul” as part of a teaching assignment. With students of Dortmund’s Design University, objects were designed for shop owners of Turkish origin from Dortmund’s north, then made in Istanbul’s crafts district and later given as gifts. In order to further sound out production possibilities and to show new ways and approaches in design, the project “Istanbul’dan” was called to life in 2015.